And will have a bold new look to go with it. 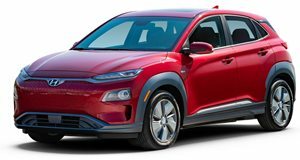 The Hyundai Group has been emboldened by the huge demand for its e-Niro and Kona EVs and according to Auto Express are pushing ahead with plans for a new EV platform that will be used on upcoming Hyundai, Kia and Genesis electric vehicles. 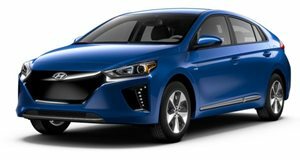 Hyundai and Kia are already planning to have 38 energy efficient cars in their fleet by 2025, 14 of which will be EVs, while luxury off-shoot Genesis is also planning to bring a fully-electric vehicle to market by 2021. All existing EVs are currently modified versions of existing internal combustion models but design head, Luc Donckerwolke, has suggested that future generations of EVs will push towards bolder independent designs, something which the new platform should aid. "We need to appeal to millennials and next-generation car buyers. They’re not car people – they want to buy something else,” claims Donckerwolke. He also revealed how 3D printing would have a marked impact on future car designs, both EV and ICE. The technology has unlocked the ability to create shapes and structures that were either impossible or too costly to consider before. As it stands Hyundai currently offers the Kona Electric and Ioniq EVs while Kia has its brand-new Niro EV. With the push towards electrification intensifying, as battery technology keeps improving and prices drop, these EVs may outnumber the internal combustion and plug-in hybrids much sooner than we thought.